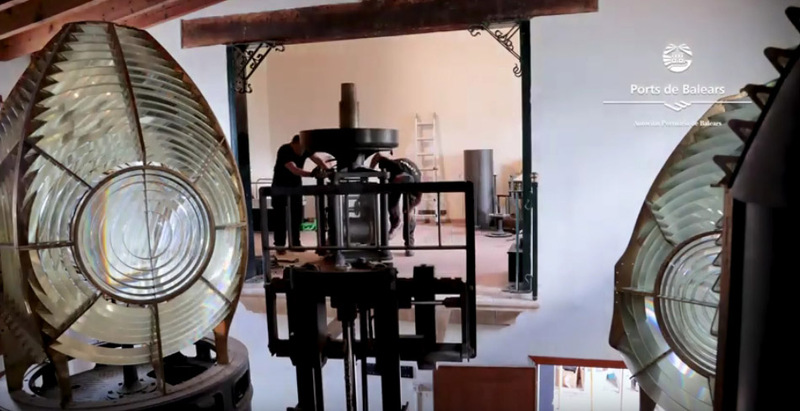 The Port Authority of the Balearic Islands (APB) has moved a lens that was located at the Maritime Signalling Exhibition at the PortoPí Lighthouse to a different location due to the improvement works to be undertaken in the exhibition area. 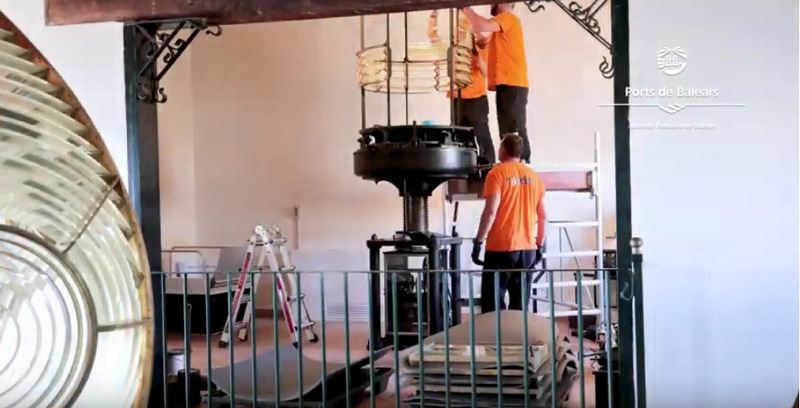 The disassembly and assembly works of the lantern have been meticulously carried out by a specialised company. 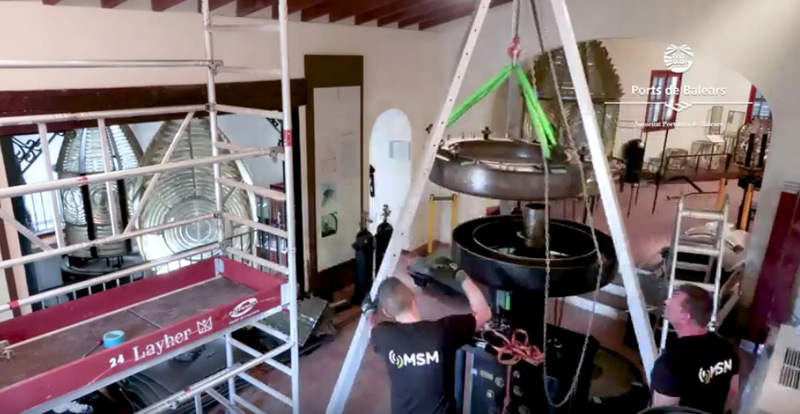 The Valencian company, Mediterráneo Señales Marítimos, was entrusted with moving the Capdepera lighthouse lens, dated 1924, from the first floor to the ground floor of the PortoPí Lighthouse at the Port of Palma. 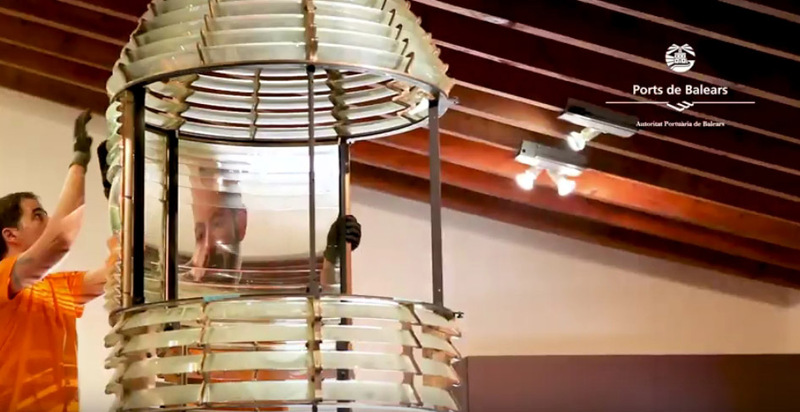 With great care, the specialists manually disassembled the glass and base elements, as well as the clock mechanism, of the lantern that was on show at the exhibition. 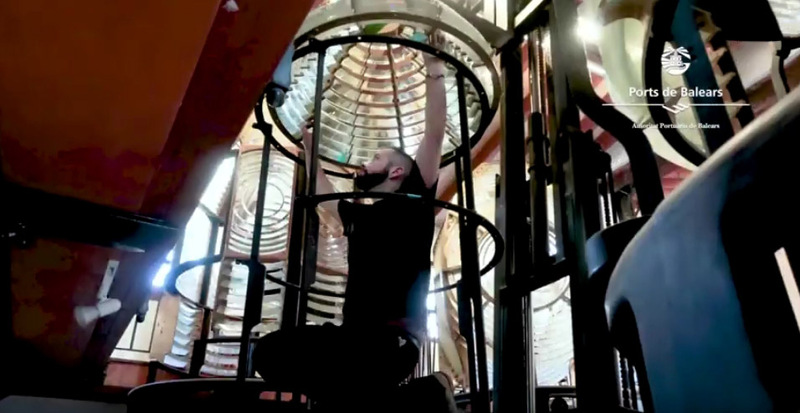 Extracting the mercury, which was used in these types of lanterns to facilitate the rotation of the lens, as well as to aid the flashing or concealment of the lighthouses' own light, was one of the most critical moments. 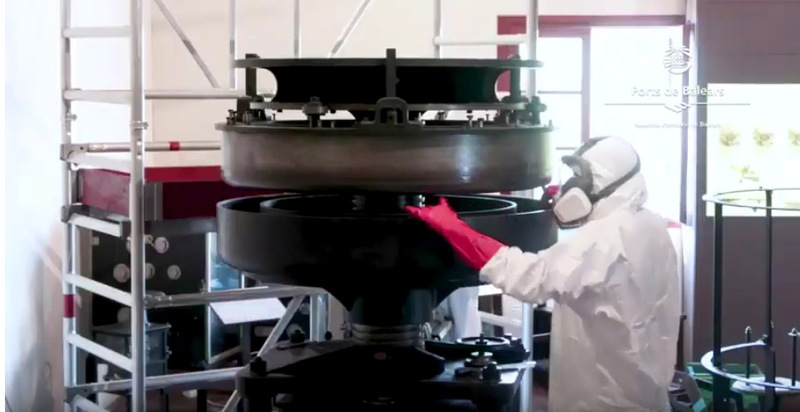 As the material is of a toxic nature, the specialists used the protective means, such as protective masks, outfits and gloves, required under the law on handling hazardous products. 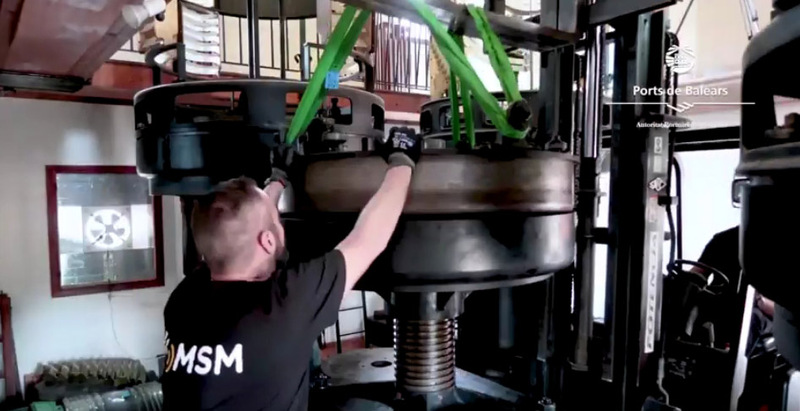 The mercury was subsequently removed by Adalmo, a Mallorcan company authorised to recycle and destroy the product. 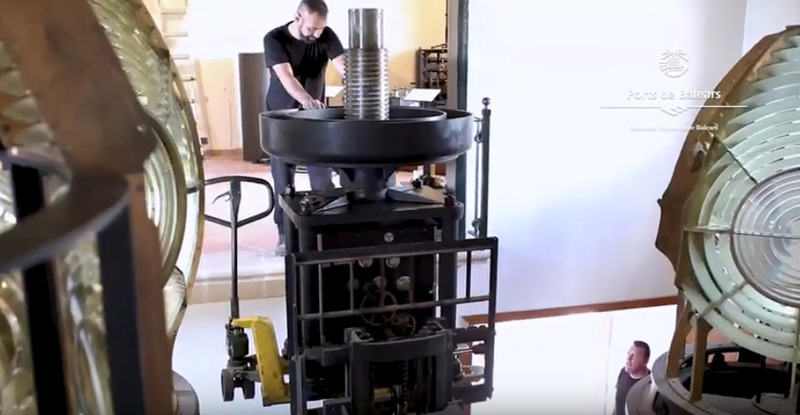 The elements of the lens were moved to the ground floor using a forklift and reassembled in the new location. 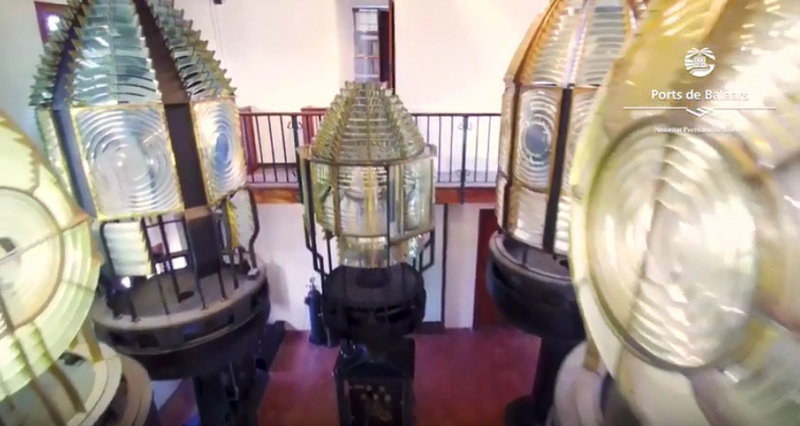 This task was carried out in order to be able to undertake the improvement works on the building and in the exhibition area of the lighthouse. The works are expected to commence in mid-January and they should last around two months. 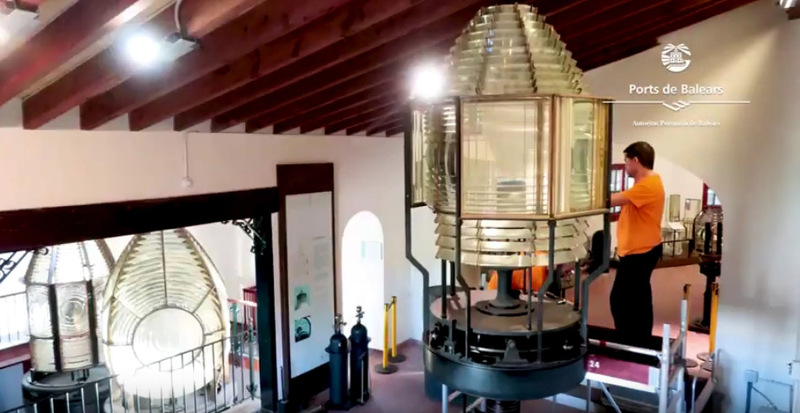 During this period, the Maritime Signalling Exhibition at the PortoPí lighthouse will be closed to the public. 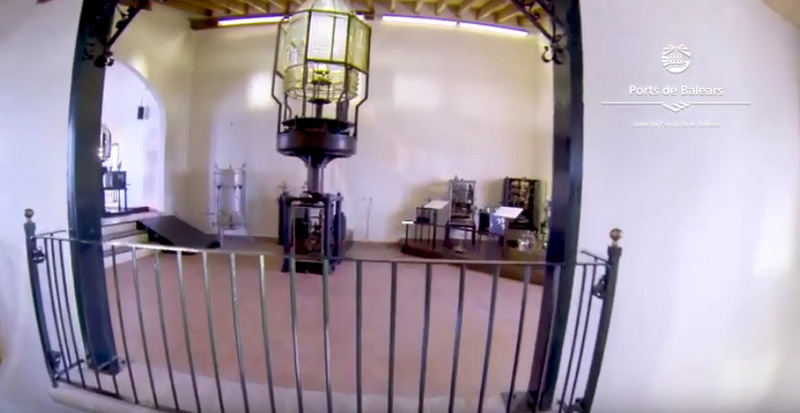 The works will be undertaken by Sydca XXI Construcciones, S.L., with a budget of 55,491 euros.